Gift your kid this wonderful wire remote control Super Power Truck with shovel loader excavator. If you're a fan of construction vehicles then you need to FUNCTIONS : This fantastic Wire Remote Control allows you to steer this machine in any direction. 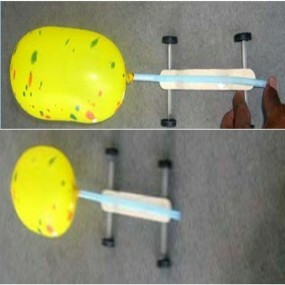 Full-featured operating sy..
" Balloon Car " -- Learn How " motion is produced due to air pressure" A Great Experiment for Budding Scientists -Minimum Age : 6+ -Skill Set :Science -Ideal For : Boys And Girl. -Body Material : Easy To Assemble. 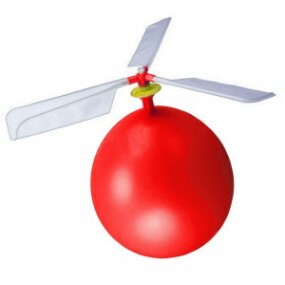 _______________________..
" Balloon Helicopter " -- Learn How " motion is produced due to air pressure" A Great Experiment for Budding Scientists -Minimum Age : 6+ -Skill Set :Science -Ideal For : Boys And Girl. -Body Material : Easy To Assemble. __________..
Key Features of Criss Cross Board Game Min Age : 4 yrs Skill set : Builds Curiosity, Problem Solving, Social Skills Type : Party & Fun Games No. of Players : 2 Players Criss Cross brings the traditional pencil and paper game to the board. Players take turns marking the spaces in a 3 ? 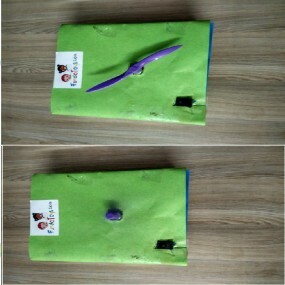 3..
" Electrical Engineering: Simple Electric Circuit " - Minimum Age : 4+ - Skill Set : Science. Related e-Video/e-Brochure of Static Electricity pack Included Key Features Of Static Electricity - Minimum Age : 4+ - Skill Set : Science. 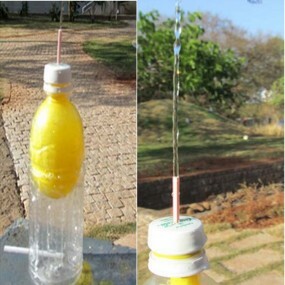 Specification of Static Elet..
" Pressure Fountain" -- Learn How " air pressure produces motion" A Great Experiment for Budding Scientists -Minimum Age : 6+ -Skill Set :Science -Ideal For : Boys And Girl. -Body Material : Easy To Assemble. 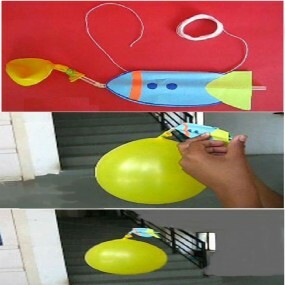 __________________________________..
" Rocket Balloon " -- Learn How " motion is produced due to air pressure" A Great Experiment for Budding Scientists -Minimum Age : 6+ -Skill Set :Science -Ideal For : Boy And Girl. -Body Material : Easy To Assemble. _____________________..